PotBlack Club Table in Walnut Timber with Olive Green Cloth and Brass Fittings. 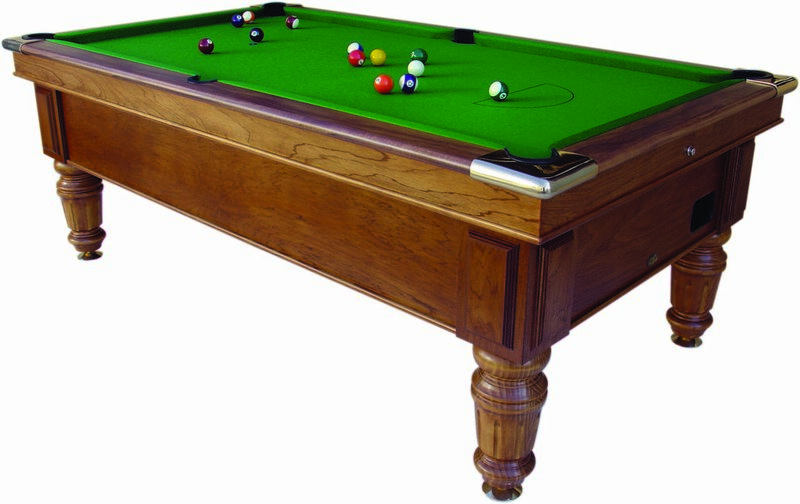 The Pot Black Club is a 7 foot slate pub pool table – but without the coin-operation function and ball release gear. It is built to commercial use standards and comes in a range of timber stain or paint finishes and with a matching choice of cloth colours. No longer do you need to be dictated to in terms of the look you want! To request a cost of delivery email PotBlack with your location and we will advise the Cost of Delivery.